Year 2016 rolled down so fast and had so exciting moments to look back. It was an awesome year and i got so many new experiences. If i look back this year gave me many WOW moments. I wanted to share few moments with you all. Before that i thank all readers of Jeyashri's Kitchen from the bottom of my heart for your support and overwhelming response. Thank you so much. I am sure you will extend the same in the coming years too. Wish you all a fabulous NEW YEAR and may this year of 2017 manifest New beginnings in all your endeavors. 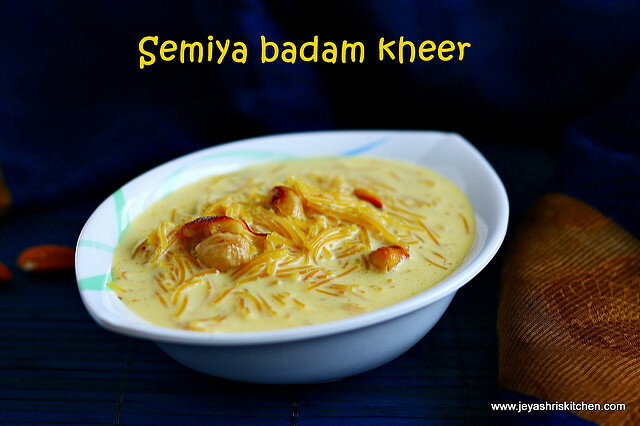 Year of 2016 started with a sweet post of Shahi semiya badam kheer. 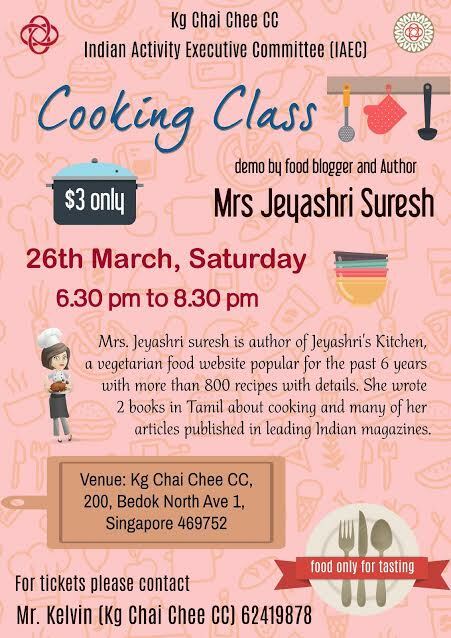 In February 2016, i got an invite from the Bedok Chai chee community center here in Singapore, to do a cookery show for around 30 people. I was a bit nervous as it was the first time for me to face the public and do a show. 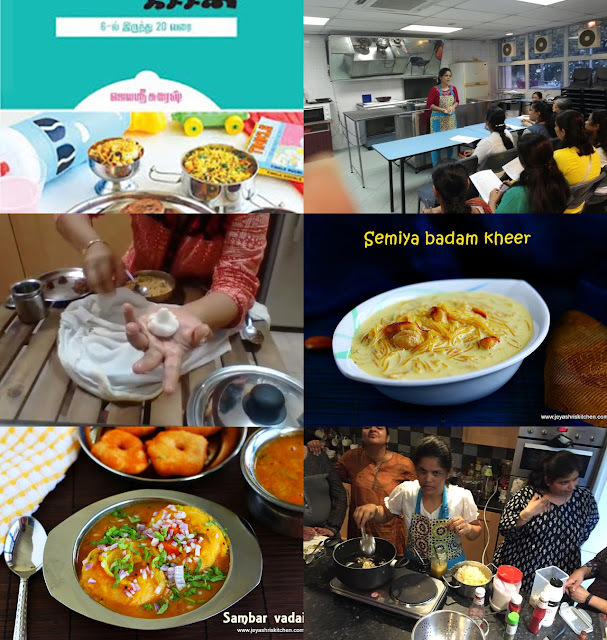 I did the show in March 2016 by demonstrating Harabhara pulao, Eggless Chocolate brownie and Potato halwa. 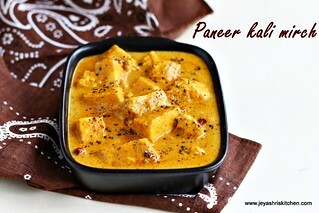 (recipe coming up soon) All the recipes were super hit. 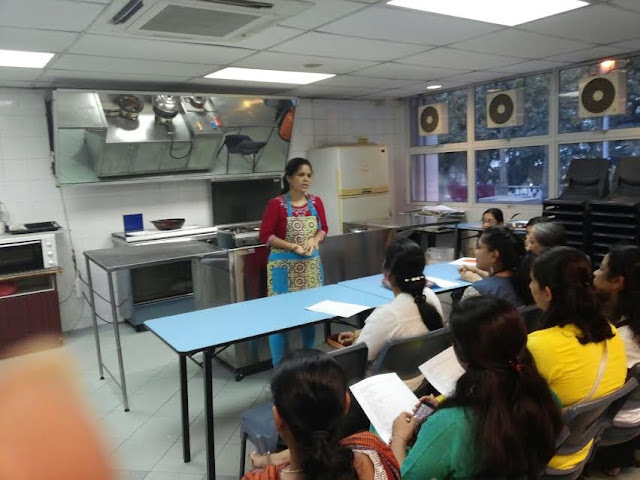 In April 2016, i was invited by Bedok Clear water Condo moms to do a cookery workshop on Mother's day. As the experience of my first cookery show, lessened my nervousness, i agreed for the second show. I did Vietnamese spring rolls, Mexican fried rice and filipino fruit salad for the show on Mother's day in May 2016. June 2016 we went for a family holiday to London and Europe. My brother in law organised for a cookery show with a set of 15 people at their place. The crowd was so awesome and they made me so comfortable and the entire show went well with a live question and answer session and a dinner. I made mexican wraps and potato halwa . 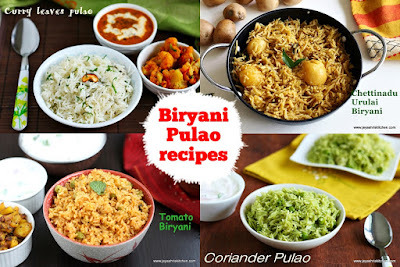 Also made hara bhara pulao and filipino fruit salad for their dinner. 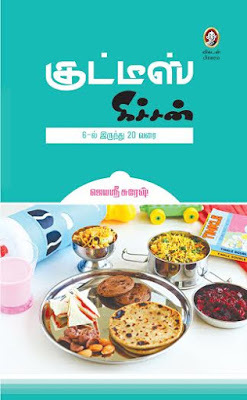 One more event happened in June 2016 was the release of my Second cook book Kutties kitchen and the reprint of my first cook book, Neengalum Samaikalam sirudhaniyam. 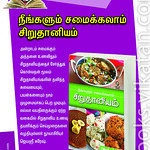 The first book sold 5000 copies in 3 months and the recent update now is it is on third reprint now. Thank you to all my readers who bought the book and made this success to happen. 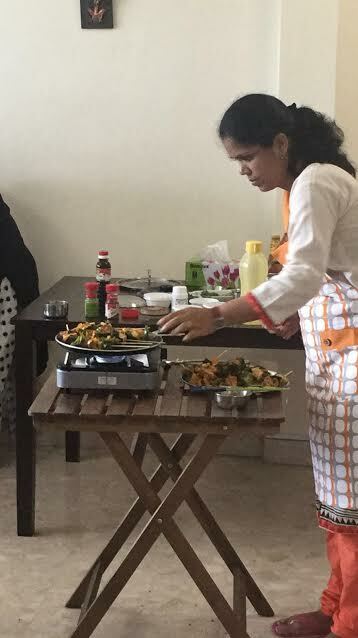 July 2016, started with a Skype class on traditional Tamil brahmin cooking for Tatvabodah group and it is still going on. Every session i look forward too and it gives a great learning experience too. Though i have never met any students in that class, each one of us has become a family now. In August started making short Youtube videos and it is again a good learning experience. Still need to master in that art of editing those videos but i am happily enjoying the process of making it. 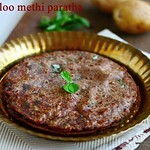 The first recipe i shot for the quick videos is Kara pori. Subscribe to my You tube channel to get updates. 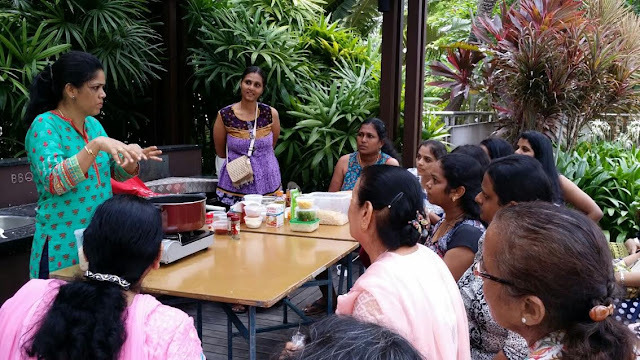 In September 2016, paired with Raji of rak's kitchen and Rakesh of Puliyogare travels, did a cookery workshop in Singapore for a group of 15 people. The response was overwhelming. Thanks to all the readers who attended the event. Wish to do few more workshops this year too. 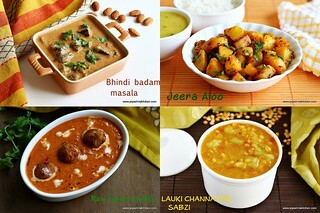 Diwali the festival of lights is the major festival celebrated in our culture. Making new sweets and sharing it with readers always a wonderful experience. 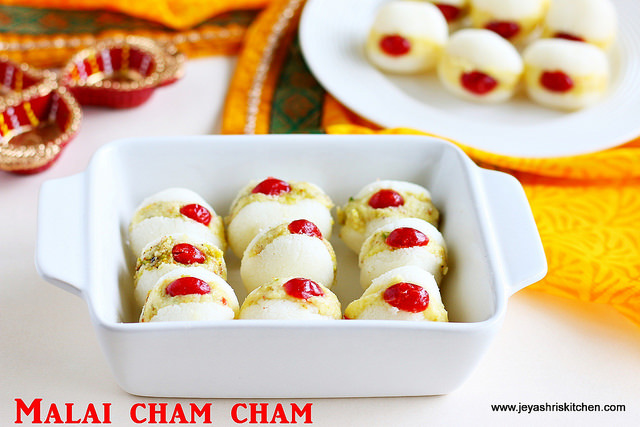 I have posted many recipes and the one very close to my heart, which is so quick and easy is Instant malai chum chum. November 2016, i was invited by a nutritionist here in Singapore to judge a cookery competition. 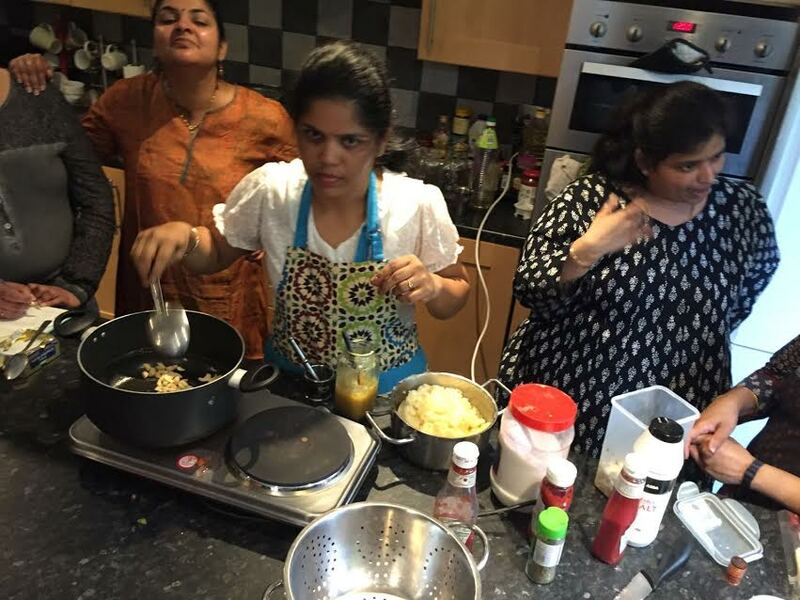 It was again a great experience and i learnt few healthy recipes too. 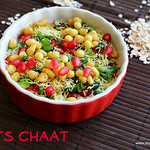 I have published the recipe (moong sprouts tikki) of the winner in Jeyashri's kitchen too. 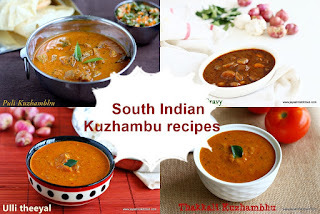 December 2016, finally got the perfect achu murukku recipe after many attempts and made a post on that with loads of tips for first timers to get it perfect. 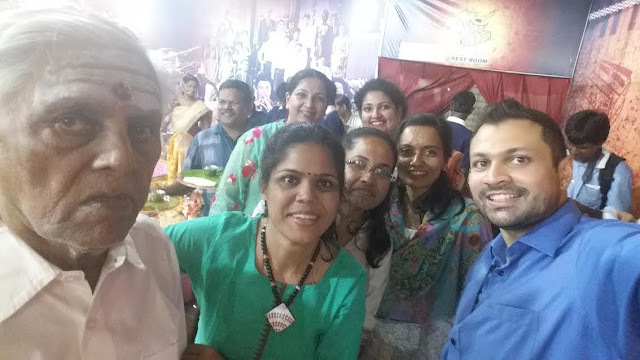 As i am having my vacation in chennai right now attended mountbatten mani iyer's (86 year old legend of catering industry) cookery worshop and had a wonderful learning on heirloom recipes. 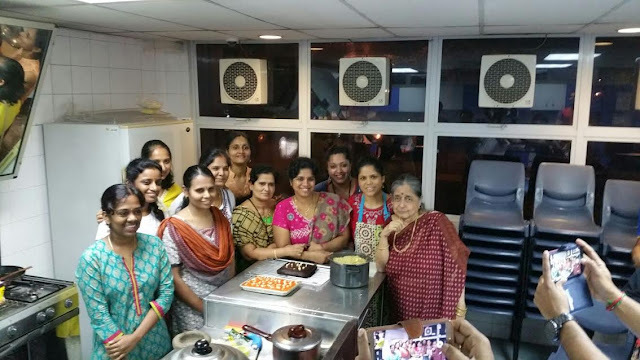 Met few readers of Jeyashri's kitchen in that workshop and it was again a great experience. 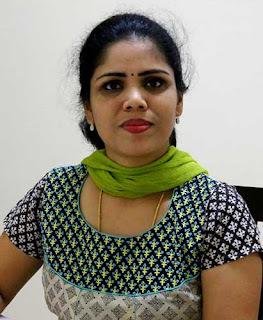 All the posts which i posted this year was close to my heart, but my personal favorite Top 5 posts from Jeyashri's kitchen for the year 2016 are below. 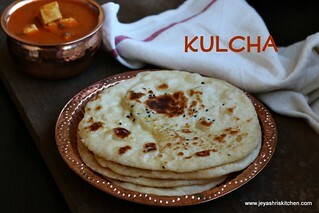 Click on the image for recipe. I once again thank all my readers who made this happen. Stay tuned for more interesting recipes coming up in the year 2017 . I am sure you will extend your support as always. Wish you all a very Happy New year 2017.